How do you make rules for yourself and do they limit your freedom? 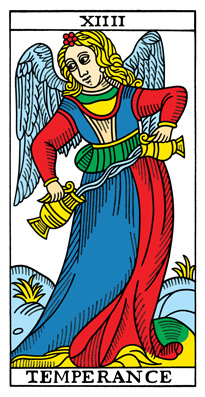 Temperance: Another Major Arcana today! If one more person says “work life balance” to me, I will scream. What does that even mean? I watch Netflix and think about work, I am working on invoicing and downloading the monthly accounts and zip into Facebook to bequeath a witty update. Well, I think it’s witty, I’ll check in a minute and see how many likes it got! Is that work/life balance? What about balancing relationships? If I ring one member of my family do I have to ring them all? If I don’t want to go out should I make myself or “I am not getting out enough”? Temperance can be so unhelpful if we deal in absolutes. Forgive me, I do like Temperance but only when the rules are thrown out for the human. How about adding a framework to those creative ideas – e.g. taking a course on running a business before starting one, or consciously taking time out, away from everything but host a dinner party first? Alternatively choose to throw yourself into work but meditate for 20 minutes first? Rigid Temperance is Saturn in domineering mode, Freed Temperance is Venus with Mars, creativity with activity, passion with military planning. Does the Empress bring you more possibilities than you can handle? 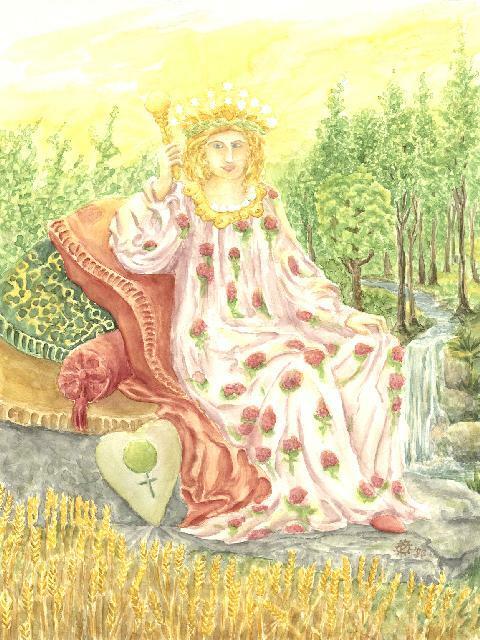 January 1st: Today’s tarot is The Empress. I don’t feel very Empress-y and I have an (undeserved) hangover from New Year’s Eve (3 drinks in 6 hours is undeserved, even if it’s more than I usually drink). So why did The Empress present today? First a Major Arcana on the first day of the month and the first day of the year. And she is traditionally the #3 Card. I wonder if the Empress brings this year more possibilities than can be handled? Are you sensing “overwhelm” – too much of too many things? The Empress insists you prioritise – resolutions are one way of prioritising your thoughts and actions for the next year. What projects do you want to achieve, what have you started and what will you finish? My basket is full (some tarot cards have the Empress with a full basket), how does your’s look?